When I started The Lambent Life in 2012, the site tagline became “Living Simply, Simply Living.” Living intentionally and with purpose for a greater goal. This isn’t a life of empty sacrifices for the sake of depravity. To me, living simply means eliminating the excess, celebrating the worthy and creating joy. I strive to spread this mantra to every area of my life and eating simply is one of the, well, simplest ways to get and stay on course. That’s part of the reason why I started the Down and Dirty on Clean Eating. Clean eating isn’t where it ends but it’s an awfully good place to start. 2. Buy foods with an ingredient list you can understand. 3. Skip calories, count nutrients. Sure, it makes sense and most people know this is how they should be eating but get caught up on figuring out exactly where to start. So I want to take a little detour from our Down and Dirty of Clean Eating series to talk about something exciting I found that I think can be a great jumpstart for many of you on your journey to clean eating and clean living. It’s all about eating simply. 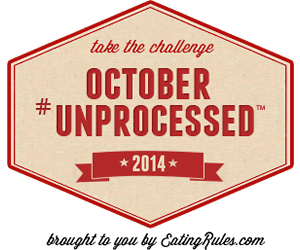 Andrew at Eating Rules is hosting an awesome challenge called October Unprocessed. The challenge is pretty self-explanatary – no processed foods for the month of October. Unsure if something it unprocessed? If your food doesn’t have a label (fruits, veggies, meats, homemade goods), chances are it’s unprocessed. 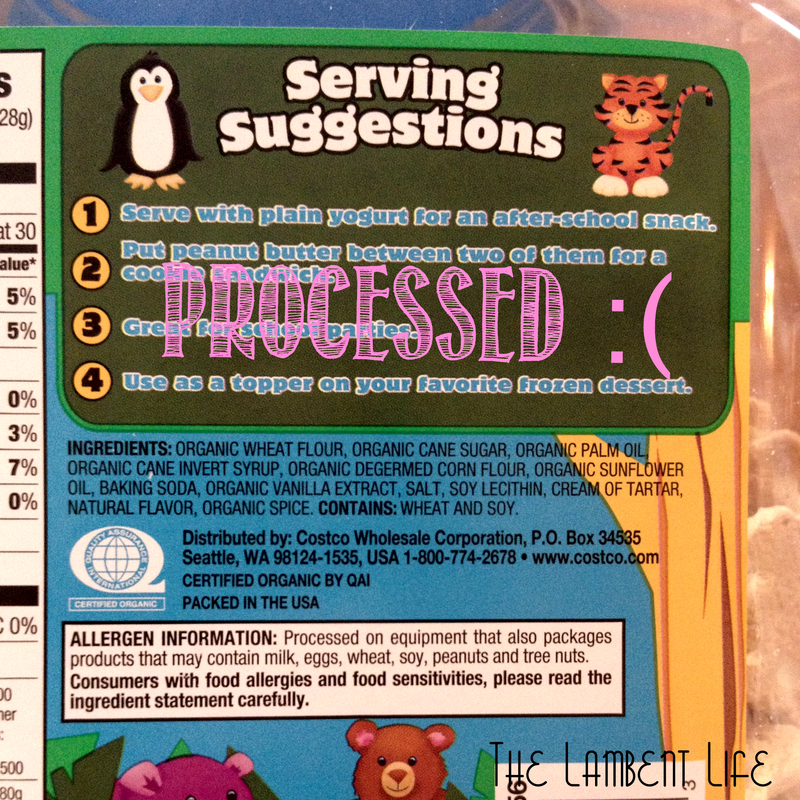 If it has a label, are the ingredients unprocessed? As in, can the ingredient be created (ground, roasted, milled, pressed, dehydrated) or found in nature? Could you actually go to the market and buy what you needed to recreate the recipe? These are organic animal crackers that I bought because my children were begging and we ran out of allergy-friendly samples at Costco. I cannot make “organic cane invert syrup,” “organic degermed corn flower” or “soy lecithin” in my kitchen. So, no bueno. First, Purely Elizabeth is my absolute favorite granola when I’m pressed for time and can’t make a homemade batch. Everything in this ingredient list is something I can identify and use in my own cooking. So this is acceptable. I know life is crazy and sometimes convenience rules. I like this challenge because it isn’t barring packaged foods or meals on the go. Just make wise decisions. When you visit the Eating Rules October Unprocessed page and sign the pledge, you also get highly coveted Bob’s Red Mill coupon which is, in my opinion, one of the best readily available product lines on the market. Is 31 days too long? Set a short term goal and see how you do. Can you do a week? 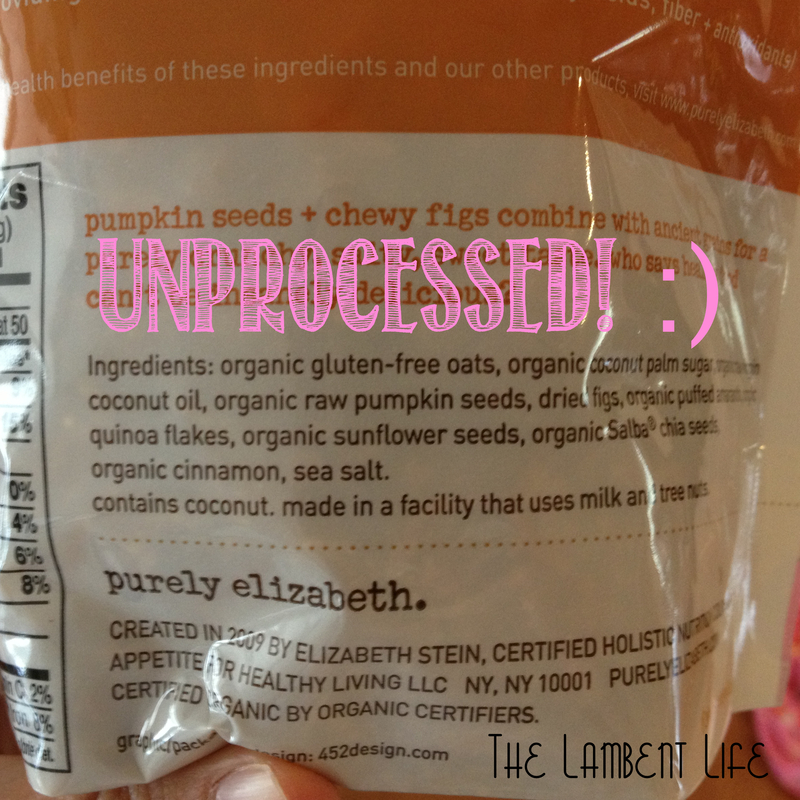 Can you eliminate just one prominent processed item from your diet? For the first two years of our marriage, Hub and I were eager to be homeowners. But the time just wasn’t right. 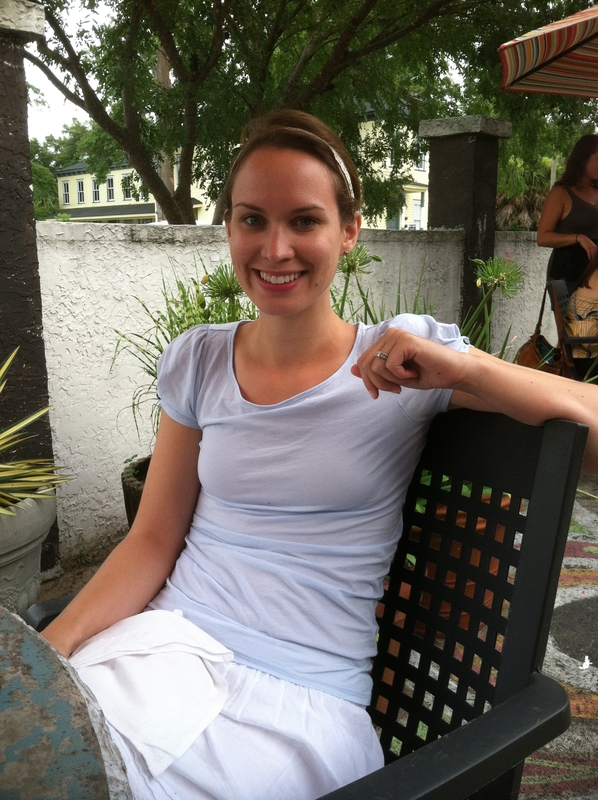 I was finishing college and establishing my career and Hub’s job had the potential to move us within a year or two. So instead, we spent a lot of time looking at homes and figuring out what we wanted when the time was right. We swore we’d buy an old fixer upper and make it our own with a little sweat, handiwork and tears. After a few years, we came quite close to buying two different historic houses while still living in Ohio. Thank goodness we didn’t – we found out we would be making the move to Savannah just as the housing market crashed. So with job delays and life delays (hello, pregnancy! ), it took us longer to get to the point in life when it was right to make that big purchase. By then, our lives had changed drastically and although we would have loved to have a historic home and all the character it provides, there was no way we could manage a major home renovation with a little one in tow. So we bought a house that was relatively updated and didn’t need any major immediate work.